Rock is the type of music that makes you feel powerful and confident. The sound of electric guitars combined with harsh vocals and double-pedal drumming can make adepts feel like they’re on top of the world. What gives this music its unique sound, however, is the electric guitar. So, if you play guitar and intend to show off your skills, a guitar pedal could be your friend. Owning a guitar pedal makes it easy for you to switch from the normal guitar sound to distortion, for instance. All you have to do it is press it with your foot during the music session, and your guitar will show its power. Some pedals will also have adjustable buttons, so you can change the volume, bass or other features. There are, however, guitar pedals that are receiving complaints from users. 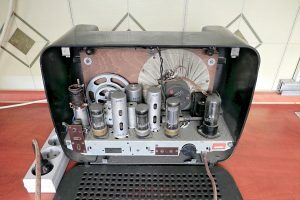 They are plugged in, but they don’t work at all – and in many situations, there are problems with the cables or power supply. For that reason, guitar players should pay attention to the pedals they purchase. There are a lot of models to choose from, and it’s difficult to figure out which one is right. Having that in mind, we came up with this buying guide – to help you make a decision. We’ve researched and read a lot of reviews, so we will make sure that you are able to purchase the best guitar pedal for your best rock music performance. Let’s get started! 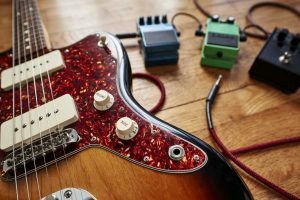 If you’re a beginner into the guitar world and you’re not really knowledgeable about guitar pedals and what they are, let’s break it down for you. Guitar pedals are basically small metal boxes that sit on the floor, in front of you. By pressing them with your feet, they can be switched on and off, hence why they’re called pedals. Others also come with adjustable buttons for setting the bass or volume level. Guitarists use them because they can offer certain effects to the sound of the guitar – such as the popular distortion sound in rock music, or the “wha” sound. In other words, there are multiple types of pedals, and each of them has a certain effect. Some pedal models will come with a very high price, but the quality leaves you with a bitter taste. Even those from reputable brands could stop working at one point, and you are left regretting your decision. You spent so much money on it, and the unit was not even worth it. There are a lot of pedals that stop working within a month, even though their high price implies that the product is of quality and will last you years. Imagine spending over $200 for a pedal, only to have it die after 10 uses. It doesn’t sound like the most pleasant thing, does it? Moreover, a lot of pedals would work, but the sound will come off as very unnatural – and there’s nothing you can do to fix it. It can be really frustrating, especially if you spend a lot of money and expect to have the pedal working properly during your rock concerts. In some cases, you can’t even fix it or send it back for replacement either, as the warranty period usually ends by the time your product dies. A very common problem when it comes to guitar pedals is the battery. If the battery is dead, it indicates the fact that there’s no power going to your pedal. So, there is no signal, and you are unable to use it. Many times, 9V batteries are very unreliable. 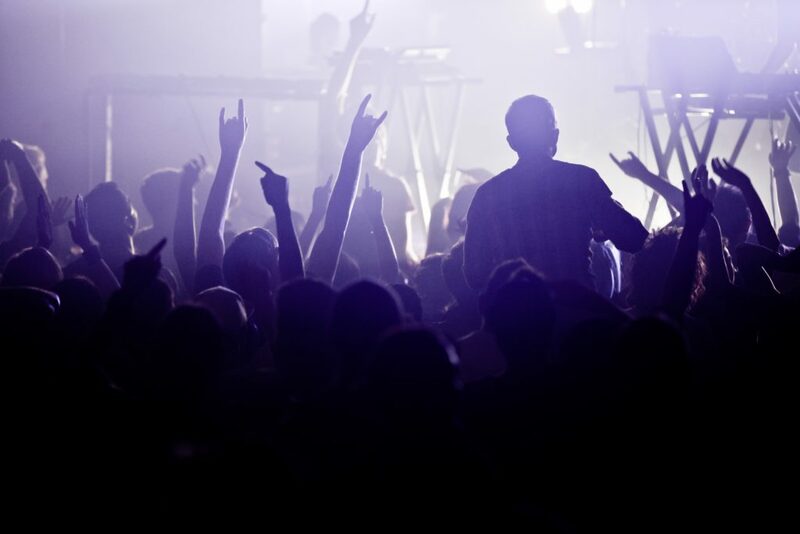 If you’re in the middle of a concert, it may stop working unexpectedly as, on occasion, they can last only a few hours. So, if owners check and notice that the battery is indeed the cause of the problem, they end up having to replace it. Having to spend even more money is very annoying. Also, in some situations, the battery is left in the guitar pedal with both jacks inserted. This may result in the battery being drained of power. People make this mistake a lot, when they should actually save power for the moment they need to use the device. It’s understandable to be so happy after showcasing your inner rock star, and you can sometimes leave your new pedal plugged in for a while – usually until you take a break. Still, that can be enough time for your battery to be drained of life and stop functioning. In such cases, a pedal power supply can be very helpful, but it’s still recommended not to forget the pedal plugged in for too long. When you use the pedal, it’s usually easy to tell when it’s turned on and when it’s not – it has a LED that indicates it. Still, people complain, sometimes, that the LED has stopped working, or it just has a fuzz that is annoying for the sight. However, the bulb is generally the most reliable of all the components – so, if the light is not working properly, that doesn’t mean the bulb is the problem. Sometimes, the connection is the one causing the LED to malfunction. It can be easily fixed by reflowing some solder, exactly like it is done when a jack is loose. And this is what leads us to the next point. Sometimes, your signal may not be dead – just a little fussy. The cable is not working, but if you’re moving it to another angle, it may give you the effect you are so looking for. Other times, though, it may not work at all. The problem is obvious at this point – a cable is either disconnected or broken. Wiggling is one reason why this may happen. Some pedals have a loose screw, and there’s a little bit of wiggle room in the input jack – which lets it move back and forth. As a result, this movement can cause a solder joint to break down, or one of the wires to erode. People who used a clunker guitar that only works when you put the cable in just right know about this problem. Although the problem can be very annoying and there are many complaints because of it, there is good news – there’s no need for a replacement to fix this problem. If the jack is tightened until there’s no play felt, the problem may be solved. If there’s anything looking suspicious, some solder can be reflowed. If there’s a need for a fresh start with the wire, stripping away a little part of the casing may be a solution. As mentioned, guitar pedals come in a wide variety – so you can choose the one you want and like the most. They all have different effects, such as distortion, “wah”, and many others. So, if you want to create some cool songs with unique effects, these pedals are the way to go – as they will give you just what you need. A single multi-effects pedal is usually cheaper compared to a whole multi-effects board. You will notice that the average price for box pedals is $100, so it’s quite affordable. Also, you can own a single one and still obtain a lot of effects with it, so it’s a win-win situation. Guitar pedals are pretty small, so you won’t have to rearrange your furniture to use it. Unlike having 20 stompbox pedals that will occupy a lot of free space, owning a single multi-effects pedal is much more practical. In addition, it’s easy to carry around too, considering that it is so lightweight. Also, you have the advantage of only needing one patch cable that goes in – and one that goes out. If you had stomp boxes, you would need multiple ones – and having so many cables in a room is not really pleasant. If you’re looking for a quality guitar pedal, you can’t go wrong with this one. It comes with a 9V battery or AC adapter, and it also has a bypass that eliminates any interference with the signal when switched off. It can easily go from pristine clean boost to a smooth overdriven sound. Also, the BB preamp allows you to dial in in the right lead tone that you want – using its 2-band active EQ. People were very pleased with this product. An Amazon customer mentioned that her husband purchased this pedal – and although it was fairly pricey, it was worth the money. He would use a lot of musical terms to describe it and being a lead guitarist for more than 50 years, he was very pleased with this pedal. According to another customer, he purchased it after watching video reviews months before ordering one. After plugging it in, he was sure that this pedal was going to be his sole overdrive distortion pedal – and therefore replaced the pedal that he was using. He said that the dials respond beautifully and recommends the pedal. Some people will say that it’s quite expensive – but most customers are pleased, because it provides a lot of benefits, as listed above. The name pretty much suggests that you will be able to go crazy. It will be a great addition to your pedalboard. Moreover, the full frequency response can be heard from the Tone Job everywhere you plug the device in. Noyty, an Amazon customer, declares that this is the right pedal to go for if you love to shape your tone. You can kick up the sustain if you want to push your preamp and lower the tone if you want it darker. If you want it louder, you can turn up the level – and lower the attack before releasing if you want it tighter. He was very pleased with this product, which is why he gave it a full rating. Another customer, Joseph Zachary Bello, says that EarthQuaker can’t do any wrong. He bought it for his bass but prefers to use it for his guitar. Apparently, it is a great choice if you are looking to buy a solid, multi0use compressor pedal. The price may not be the cheapest one out there, but it’s definitely worth it considering the advantages it has. Another great pedal is the Xotic AC Booster. Without a too heavy distortion, this pedal is sure to give your guitar a pleasant sound. It has a sweet thick overdrive with an open non-compressed feel – and true bypass that eliminates signal interferences. If you want to play a softer type of rock, this pedal can be your friend. According to Mansik M, it’s similar to a tube screamer – but way more transparent, as it’s not too harsh. Apparently, it reacts greatly with the guitar and the amp, and he had no problem with the tone at any gig where he used different amps. Joshua T Ray, at the same time, says that the tones and construction are amazing, and he considers it a must-have addition to any pedal board – for almost any music type. It can be a bit pricey, but it’s definitely a great acquisition, considering its advantages and quality. This pedal model is used by members from popular bands such as Killswitch Engage and As I Lay Dying. The overdrive it offers is a smooth, natural one of a full-up tube amplifier in a compact pedal. The device can respond precisely to playing nuances and allows your instrument’s natural tone to have its shining moment. Steven, a pleased customer, declares that this pedal is his favorite OD one so far. Apparently, it can be set to slightly color the tone – or just destroy it. In his opinion, it is a necessity in the toolbox of any guitar player, and he thinks Maxon did a great job by creating it. Bryan Croad, who is a professional musician – and has been for years – said he checked into the pedal on YouTube and liked what he heard. He mentioned that he uses it on shows, and it’s the pedal that has become a necessity. He never thought that would happen. It is a bit expensive and not many people may be able to afford it, but it’s definitely a good pedal to have – considering the amazing sound it gives to your music. You’ve most likely heard the “wah” sound in rock songs and wondered how that is even possible. Well, there are pedals that help create this sound – and this model from Dunlop is one of them. It has an adjustable, switchable boost, and has the ability to select frequency center and range of effect. An Amazon customer, Jeff in Texas, gave the pedal a full rating and said that the pedal is a great addition. According to him, this pedal helps a lot with synchronizing your foot with the guitar – although it may be hard at first. Moreover, the heavy weight of the base keeps it securely in place – at the same time, it has smooth action, great effects, and clean sound. Victoria Ayala said that her husband was very pleased with the pedal. It has a great sound, and her husband added it to his collection. He’s an old-school musician, and since he lent his old “wah” pedal to a friend, he was left with none; however, this one was a great replacement. They both loved it. Some customers weren’t pleased, because the pedal apparently wasn’t working upon arrival. However, most reviews are positive, meaning the product is good and offers an amazing sound. 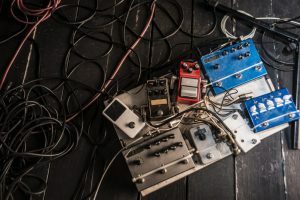 All things considered, owning a pedal for your guitar is a great thing – as you can add your music a wide variety of effects that will give it uniqueness. It’s easy to use, and it can last you a long time if you know how to use it. When purchasing a pedal, you have to be careful with the specifications, such as the battery type and price. Moreover, you have to check the reviews – just so you know if the product actually works, or if people had problems with it. The Xotic BB Preamp Pedal, for instance, is of high quality, as it has a bypass that eliminates any signal interference when switched off – giving a smooth overdriven sound. Hopefully, this guide was helpful to you, now you know what to look for in a pedal – while also knowing some models that you could use for creating great music.